The Silence release date is set! 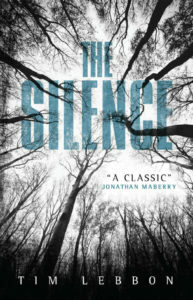 June 8th of this year you will get to see Kiernan in The Silence. Unfortunately another movie called A quiet place has seemed to have ripped off Tim Lebbon’s book which was published a year before the script was apparently written. They have not mentioned Lebbon’s book as a source and claim that it was their own creation. That movie which was too similar to be a coincidence was released on the 6th of this month. Lebbon is aware of this but is assuring us that The Silence will stand out on its own. I don’t know about you, but I’m going to wait until June to not only see our girl Kiernan slay another role, but to see a film that is actually giving credit to the author whose talent should be praised. The first images of Harvey And Sabrina are here! Have no fear! Yesterday a few different paparazzi got the images we have been dying to see! 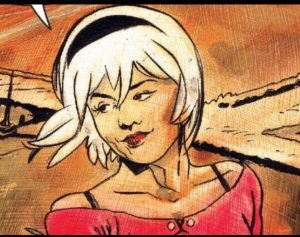 Kiernan as Sabrina! 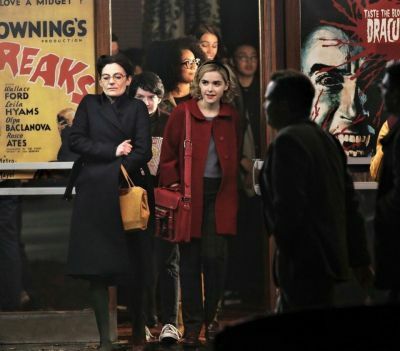 Shooting a scene at a theater Kiernan was with co-star Ross Lynch (My Friend Dahmer) who plays the iconic role of Harvey Kinkle – Sabrina’s love interest. Click the photos below to check out the album! hopefully more to come! Hey hey! It’s that time again when I post about some amazing accounts or groups that I have come across dedicated to Kiernan and or any of the work she has been or is currently involved in. This week I have one tumblr account and two amazing Instagram accounts I’d love to share with you guys. Click on the photos below the description to visit the page. 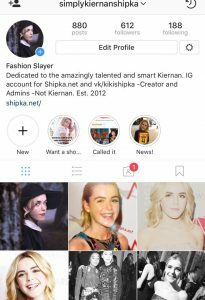 Also if you don’t already know – Shipka.net has an Instagram of its own where we post photos, edits, news, and we also do live discussions. Follow us below! Now onward to our weekly picks! The first is (https://harveysbrina.tumblr.com/) Harvey’s Brina on Tumblr. 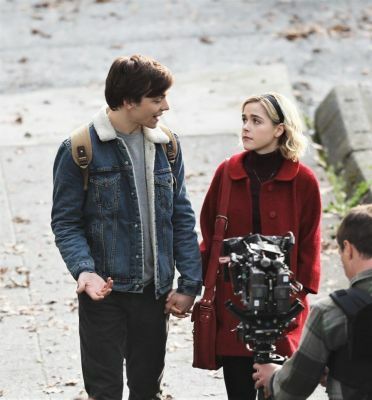 This account has a lot of useful information especially if you’re wanting to know when and where the Sabrina crew will be filming next in Vancouver. 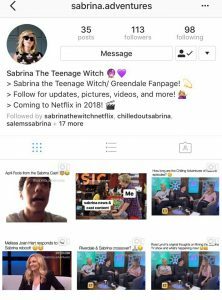 This is mainly a Sabrina blog with information on ALL of the cast. 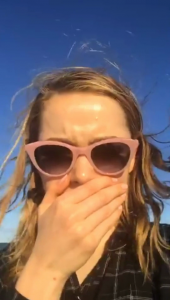 Next is my friend Aurora and her Instagram account (https://www.instagram.com/kiernanshipka_fans). 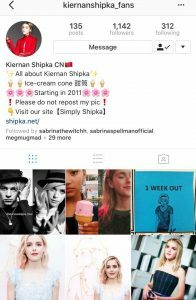 She is part of the Shipka.net team and has been posting awesome edits and photos of our girl Kiernan since 2013! Literally this girl is my sister from another mister and shes super cool and sweet so if you’re on instagram give her a follow! Last is a new coming account (https://www.instagram.com/sabrina.adventures ) That specializes in video/photo updates and edits. I have high hopes for this page! Give it a follow! Just as the shipka.net crew has suspected – Harvey has just been casted and we were right that it was indeed Ross Lynch that was chosen. Read the article below. Disney Channel alum Ross Lynch has been cast as the male lead in Netflix’s “Sabrina the Teenage Witch” series. Lynch will play Harvey Kinkle, boyfriend to Kiernan Shipka’s Sabrina. He joins a cast that also includes “Homeland’s” Miranda Otto and “Wonder Woman” actress Lucy Davis as Aunt Zelda and Aunt Hilda, respectively. “Riverdale” showrunner and Archie Comics chief creative Roberto Aguirre-Sacasa serves as writer and executive producer. Greg Berlanti and Sarah Schechter of Berlanti Productions also executive produce the Warner Bros. Television production, alongside Archie Comics CEO Jon Goldwater and director Lee Toland Krieger. A former Disney Channel star, Lynch most recently portrayed the serial killer Jeffrey Dahmer in the Marc Meyers biopic “My Friend Dahmer” and will next star in the comedy “Status Update” alongside Courtney Eaton, Olivia Holt and Gregg Sulkin. This week we have a tumblr group, an instagram page and a twitter that we want to bring to your attention. Follow these awesome people for some great edits, gif sets and news! 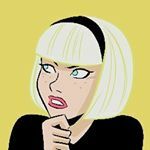 Always looking for some great Kiernan/Sabrina/Mad Men groups, sites, etc to shout out on here! if you want to be recognized send us a message! 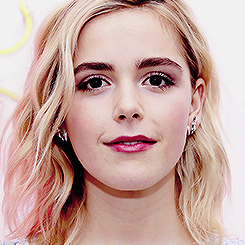 Kiernan Shipka Brasil on Twitter! It’s a WE LOVE COCO bash in LA! Kiernan looked flawless in a powder blue Chanel dress for the Chanel Party to Celebrate the Chanel Beauty House and @WELOVECOCO. I mean, come on! who doesn’t love to bathe in pearls?!?! Photo’s are in the gallery – click the pic below to get the album! more to come!